Eagle LNG Partners (Eagle LNG) announced Friday (Apr12) that it reached a major milestone, receiving the Final Environmental Impact Statement (FEIS) from the United States Federal Energy Regulatory Commission (FERC) to construct the Jacksonville LNG Export Facility. This is the final step in the environmental review process before the final Federal Authorization Decision Deadline and anticipated FERC approval of the project. 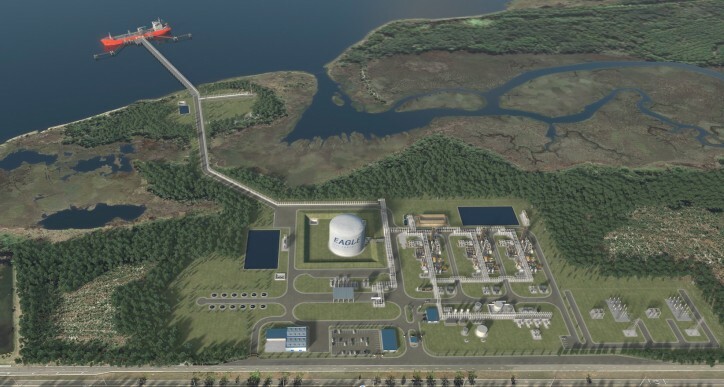 The proposed Jacksonville LNG Export Facility will initially consist of three liquefaction trains, which, at full build-out, will be capable of producing up to 1.65 million gallons of LNG per day, or approximately 1 million tonnes per annum. “The Jacksonville LNG Export Facility, with its prime Florida East Coast location, will give us a unique and competitive advantage in helping provide some of the lowest-cost power generation for nearby Caribbean countries. With approximately $500 million of infrastructure investment, this project will continue to generate numerous well-paying direct and indirect jobs in Florida,” said Sean Lalani, President of Eagle LNG.